An innovative package for natto – the popular fermented soybean food – lets users start eating quicker by eliminating two steps from the usual preparation process. 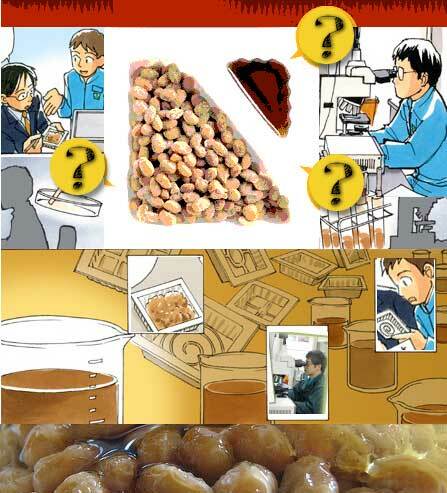 Previously, after removing the package lid, one would have to peel off the top film, stir the natto, open the sauce pouch, pour the sauce onto the natto and stir the sauce into the natto. Researchers at Mitsukan have created a spill-proof special sauce and devised a packaging method that eliminates the film. Click here to read more and watch the TV commercial for Kin No Tsubu and Ni O Wa natto.